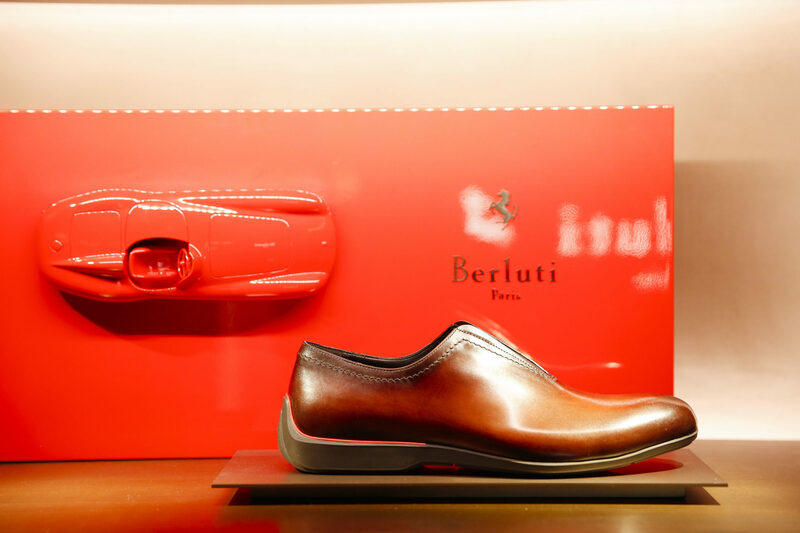 Berluti collaborates with Ferrari on a limited edition shoe line, designed to meet the needs of the perfect gentleman driver. 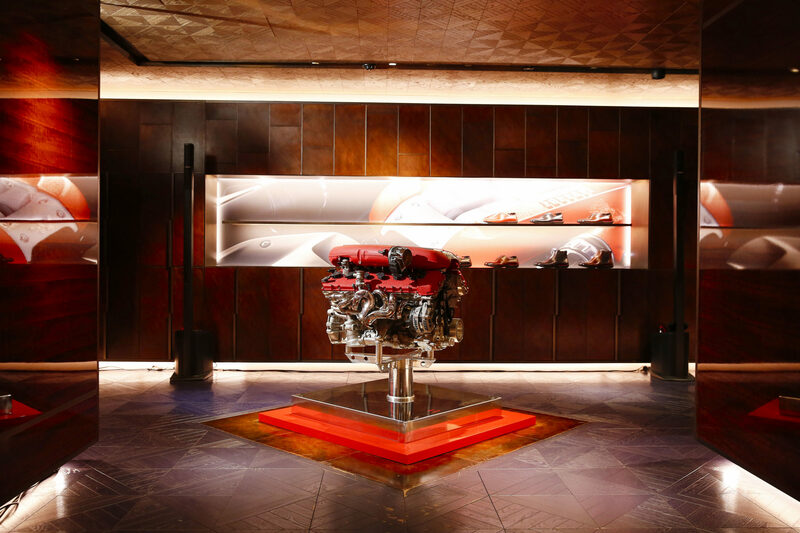 Celebrity-chatter filled the air at the Berluti store during Paris Fashion Week. 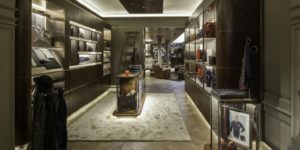 Turns out, CEO of Berluti, Antoine Arnault, and John Elkann, Chairman of Ferrari hosted a cocktail to celebrate the launch of their limited edition collaborative shoe line with a star-studded guest list, including Vice President of Louis Vuitton, Delphine Arnault, French Actor, Lambert Wilson and many more. 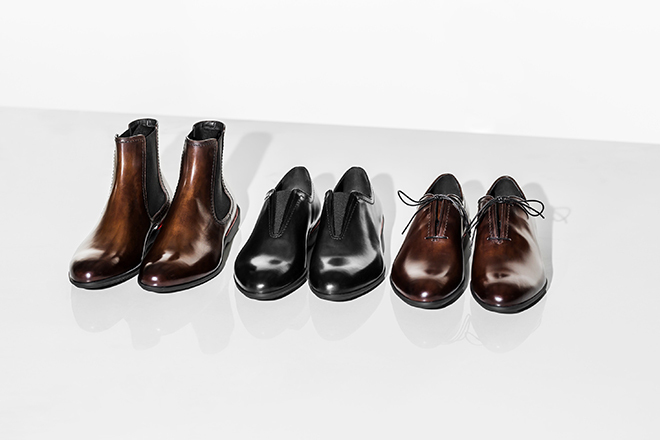 The collection consists of a slip on, an Oxford and a Chelsea boot. 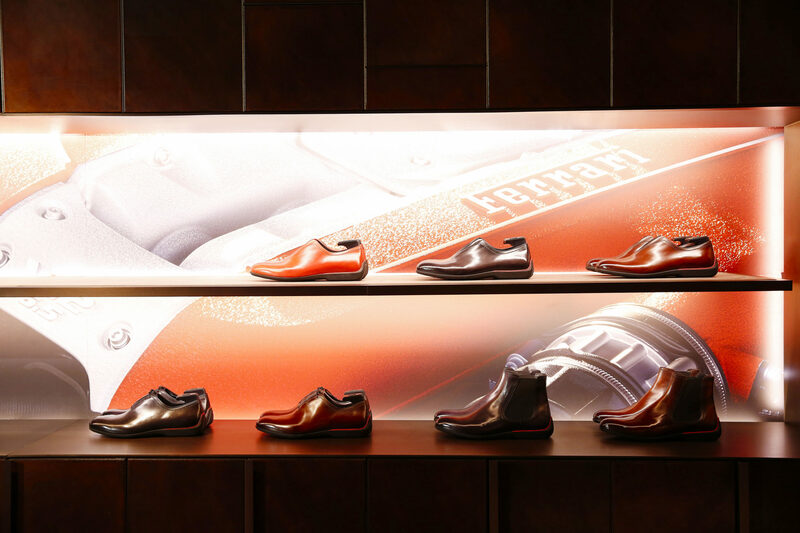 All three models embody the classic characteristics of a Berluti gentleman while featuring signature silhouettes and stitching details inspired by Ferrari. 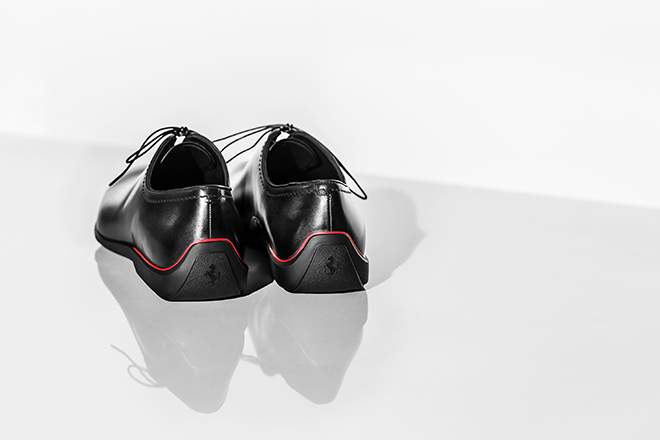 With killer sculptural designs yet made for comfort, the “Ferrari Limited Edition” harmonizes Ferrari’s heritage with Berluti’s expertise in creating footwear, and is emblematic of the longtime friendship between Arnault and Elkann. 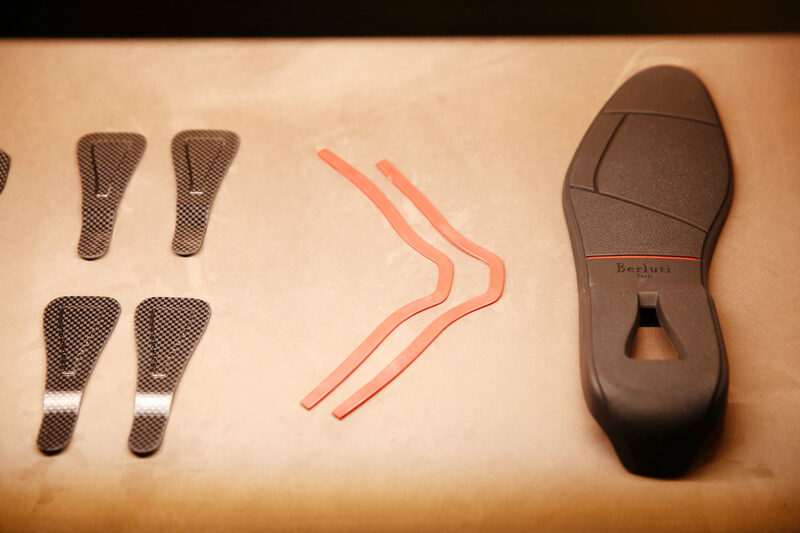 “These are the lightest shoes that Berluti has (ever) done. 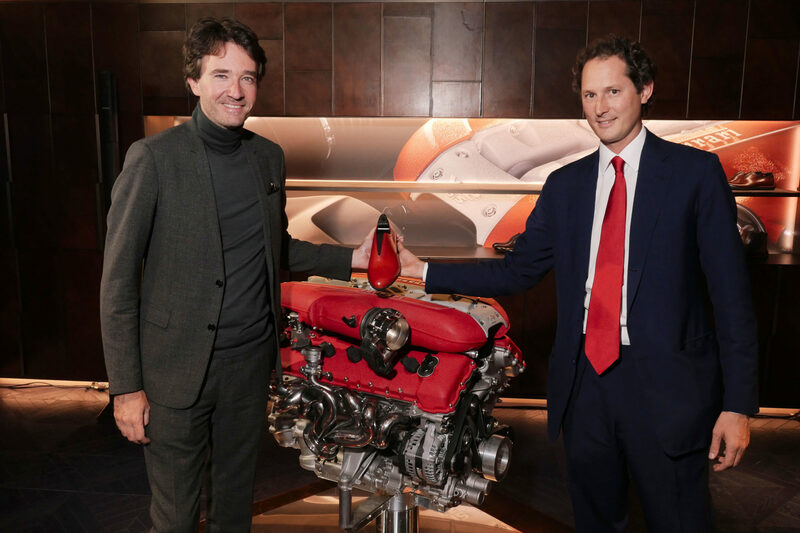 These are shoes that have real technology in them,” Elkann said in a statement to WWD, “it’s a very special grip that you have on the sole,” as he explained the carbon-inserted sole that uses the same Plain Twill 2×2 carbon fibre Ferrari uses in its vehicles. 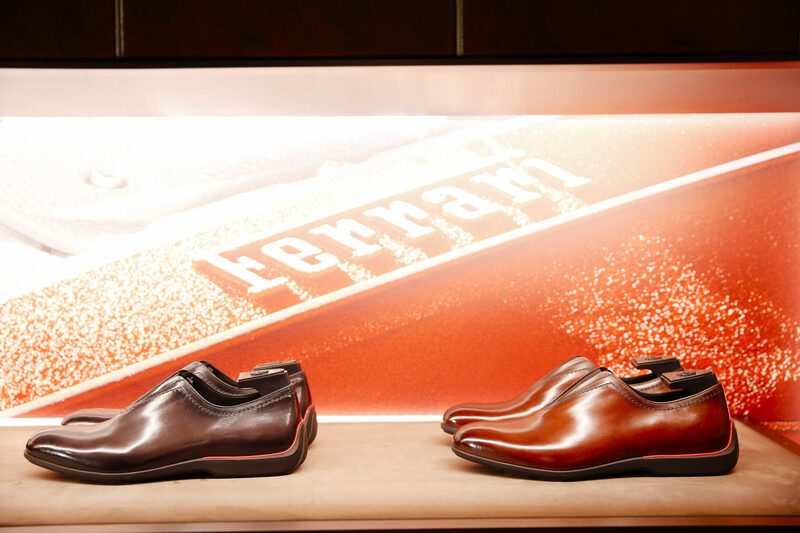 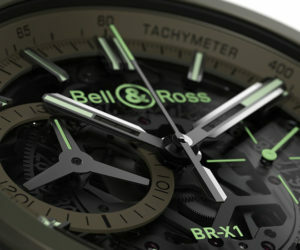 Starting November, the Berluti and Ferrari collection will be avaiable in selected international stores. 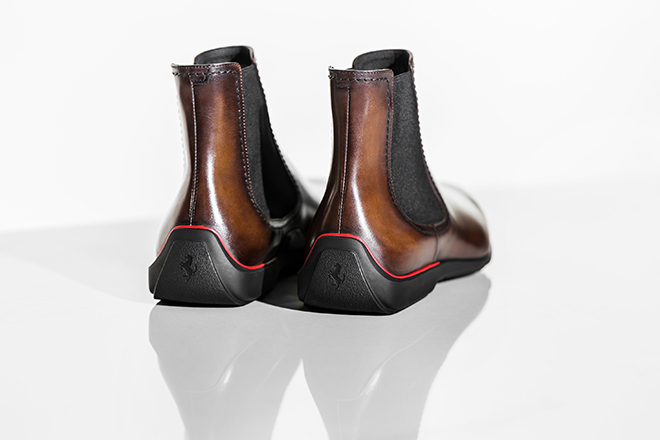 Ferrari fans will be pleased to know that each model features a Ferrari Red piping across the heel, a statement representation of the brand to accompany the Prancing horse logo.